Early Victorian Jacobean Hall set in traditional gardens, amidst delightful parkland. 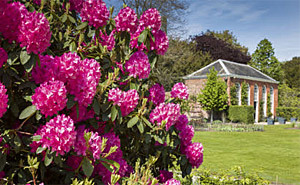 The gardens contain many unusual plants, trees and shrubs, including over 200 varieties of rhododendrons. The gardens have been designed and maintained by the same family for over 250 years and offer an unique blend of historic and traditional design, with inspired modern additions. Historic country house surrounded by ornamental gardens with lakes, woodland glades and groves. Dotted with follies, pagodas, temples and other ornamental features. Highlights include a 'Grass Bed' that offers all year round interest, terraces and a lilly pond. 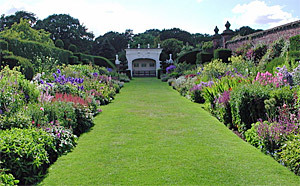 Also a traditional rose garden and sweeping lawns edged with colourful mixed borders. One of the great gardens of northern England. 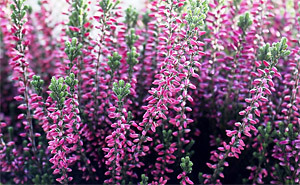 Enjoy densely planted perennials mixed with hundreds of trees and shrubs. The seven acre winter garden is said to be one of the largest in Britain, where white Himalayan Birches stand majestically above red stemmed dogwood, underplanted with drifts of cyclamen coum and other early flowering bulbs. 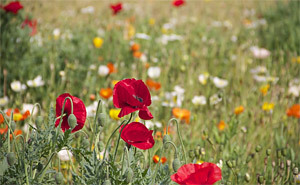 Devoted to the promotion of new wildflower landscapes and wildlife habitats, set in 35 acres of parkland. See beautiful wildflower displays and a walled garden that produces flowers, seeds and plants. Also a specialist garden planted with medicinal plants and herbs. A promenade deck looks out over seasonal demonstrations. Great for information & planting ideas. The Botanic Gardens of Liverpool University. Superb winter garden with heathers and an extensive collection of acid loving shrubs. Natural outcrops of stone, woodland gardens with mature trees (evergreen oak, pines and poplars), many flowering trees, a historic rose garden and a large collection of herbs. Excellent for all year round interest and colour. Extensive formal gardens surrounding a 19th-c. neo-classical mansion. Famous as the venue for the July RHS flower show. 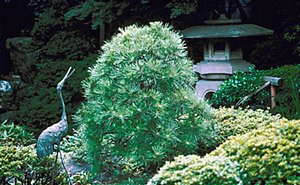 This 50 acre site contains some of England's finest display gardens, including an authentic Japanese Garden. 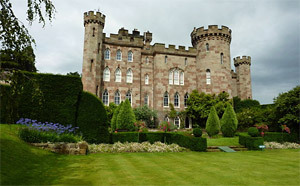 You can also see a formal Italianate Garden, mazes, rose gardens, fernery, walled garden, lakes and woodland walks. Best visited spring/early summer.